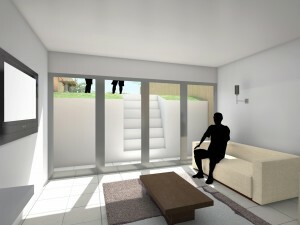 We have submitted an application for a single-storey rear extension in a flatted house in Hornsey. 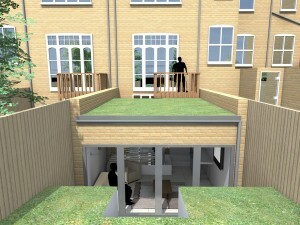 We have utilised a green roof to ensure the extension is a visually pleasant introduction, from a neighbouring point of view. 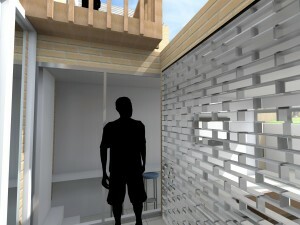 We have inserted a light well within the extension utilising a glass-block wall, allowing light to enter the near end of the extension and retaining light levels within the existing building. Our proposal has also incorporated a renovated terrace on the first floor as part of our consulting with the other tenants of the building.